At Childhood 101 we are dedicated to inspiring parents, teachers and other care givers to create playful learning opportunities in their homes and learning environments. Our library of quality, printable resources is one way we work towards this goal. 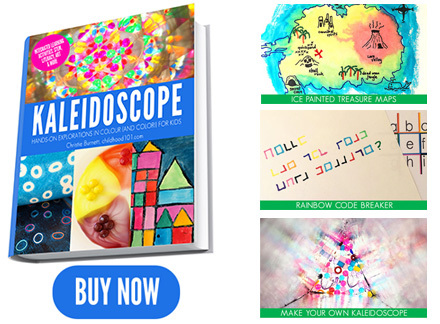 Kids love to create, experiment, explore, engineer, imagine and share their great ideas and Kaleidoscope: Hands-On Explorations in Color is the perfect resource for inspiring kids to do all that with colour! A fabulous pack of 25 color inspired learning projects available as an immediate electronic download for just $11. Find out more here or click here to buy. 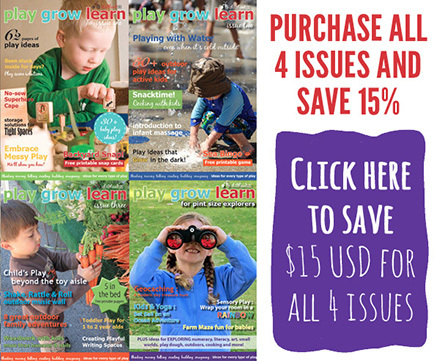 Bursting with ideas for creating, thinking, singing, making, moving, talking, cooking, imagining and constructing, Play Grow Learn is a fully downloadable e-magazine series perfect for teachers and parents of young children. Each issue is packed full of unique activity ideas and projects just right for kids who embrace life with both hands (and isn’t that all of them!) and informative articles for playful families. Priced at $6 per issue, there are currently four issues available. 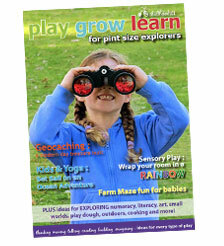 Find out more about Play Grow Learn here. 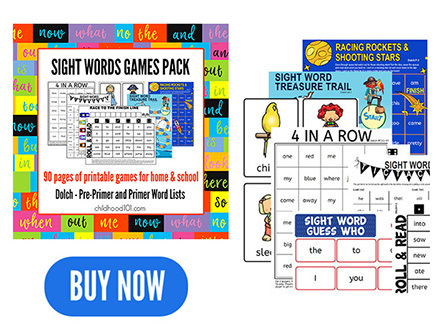 Designed to really engage children with sight word learning through playing games, this printable Sight Word Games Pack will help to get them recognising sight words on sight. More than 10 printable games that are easy to prepare and simple to play. Great for at home learning, homework or small group literacy work. Available for immediate electronic download for just $5. Click here to find out more or click here to buy. 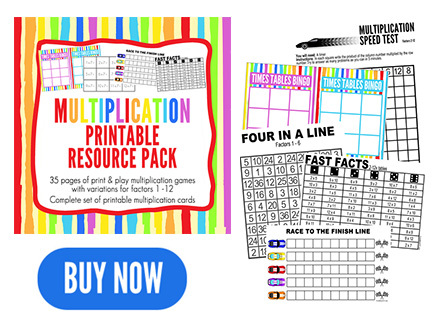 This 35 page printable Multiplication Resource Pack includes a fun collection of 10 multiplication games that review multiplication of factors 1 to 12. Designed to encourage children to apply multiplication learning, and to get them thinking and responding quickly, these games are quick and easy to prepare and simple to play. Perfect for use with children in grades 3 and up, this pack is great for teachers, homeschoolers and parents looking to support their child’s learning. Just $5. 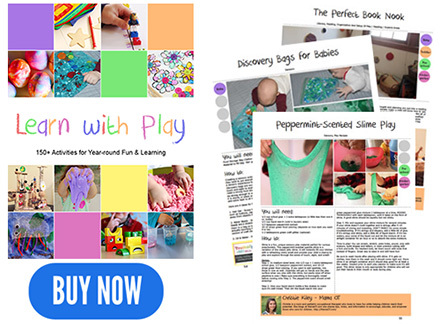 Learn With Play:150+ Activities for Year-Round Fun & Learning includes 200 pages of fabulous play and learning ideas for babies, toddlers and preschoolers. The perfect book to have on hand for inspiring you on holidays, weekends, or anytime the kids need something to do! A fun mix of hands-on learning, you’ll find activities for fine motor skill development, sensory play, play recipes, busy bag ideas, imaginative play, leaning about colors, shapes, numbers and letters and DIY toy ideas. Find out more about Learn With Play here. Purchase ebook here for $14.95 or purchase paperback book via Amazon here. 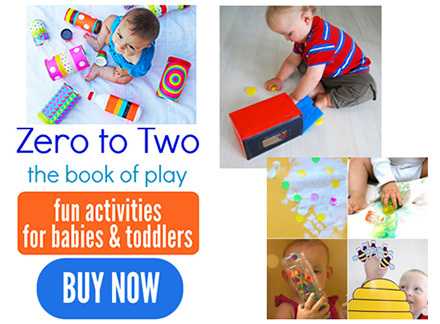 Zero to Two: The Book of Play is packed full with playful activities for babies and toddlers. It includes free printable puppets, sensory experiences, language and musical play ideas, even a set of fun stroller cards. Find out more about Zero to Two: The Book of Play here or buy it now for just $8.99. 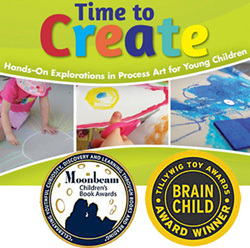 128 pages of hands-on, process art activities for parents and educators of young children, Time to Create: Hands-On Explorations in Process Art for Young Children has been recognised for its contribution to early education through as the recipient of four book and publication awards. Find out more about Time to Create here. 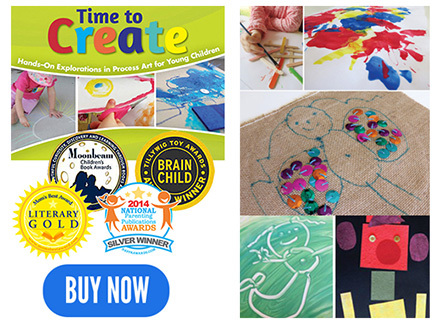 Purchase Time to Create (paperback) via Amazon or purchase eBook version here.